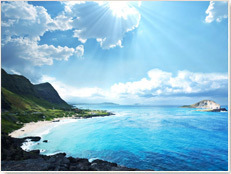 The Hawaiian Islands are one of the top vacation destinations in the world. The weather is pleasantly warm year-round, and there are so many Hawaii attractions and things to do that it is impossible to feel bored or to see it all on just one trip. Not to mention there is more than just one island, and each one of the four main Hawaiian Islands has a unique character and offers different sights and attractions. 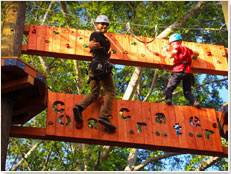 Hawaii Discount offers the best selection of Hawaii attractions and things to do, so you are sure to find what you are looking for. 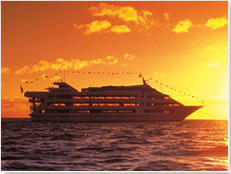 Our discounts help you save on your favorite island activities. 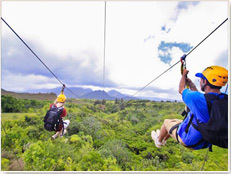 Check out the popular Hawaii attractions below, or find the activity of your choice in our detailed list on the right. Most visitors to Hawaii spent their vacation on the island of Oahu. Waikiki Beach is the hub of Hawaii’s tourism industry. Here you will find the largest choice of things to do. Visit Pearl Harbor and the Pacific Aviation Museum to learn all about the Japanese attack on Pearl Harbor on that fateful day in December 1941 that catapulted the United States into World War II. Visit the Dole Plantation, located on the central plateau of the island, and see how pineapples are grown. You can even take a train ride through the pineapple fields. Further north is Waimea Bay and Sunset Beach, known as some of the best big wave surfing beaches in the world. 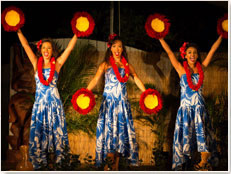 Located near Turtle Bay is the Polynesian Cultural Center, often called a living museum, where you can learn about the cultures of several Polynesian island nations. Oahu’s east shore is home to Kualoa Ranch, a working cattle ranch, where visitors are welcome to explore the grounds and enjoy horseback riding. 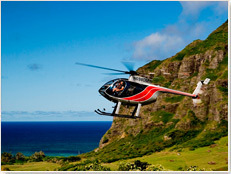 They also offer ATV (all-terrain vehicle) and hiking tours through Ka'a'awa Valley. Another popular Oahu attraction is Iolani Palace, the only royal palace in the United States, located in downtown Honolulu. The island of Maui boasts Mt. Haleakala. Rising 10,023 feet above sea level, it offers fantastic sunrise and sunset views. 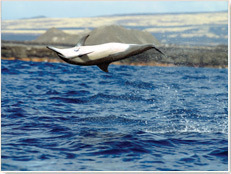 An equally exciting experience is a road trip along Maui’s north shore. The Road to Hana (also known as Hana Highway) leads along sea cliffs and lush rainforests. Here you have the opportunity to see more waterfalls than anywhere else in Hawaii. Just after the picturesque village of Hana is Oheo Gulch, also known as the Seven Sacred Pools, a popular visitor attraction. The best swimming beaches are sprinkled along Maui’s south shore – between Makena and Ma'alaea. 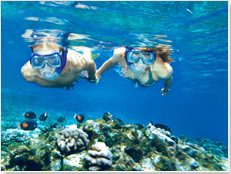 Here you can do every watersport imaginable, from swimming, snorkeling and diving to kayaking, sailing and parasailing. Offshore is the tiny volcanic cinder island of Molokini, one of the best dive spots in the world. Kauai is the northernmost island of the main Hawaiian Islands. One of the most popular visitor attractions on Kauai is Waimea Canyon, also called the "Grand Canyon of the Pacific." Koke'e State Park is located here as well, offering breathtaking views of the canyon and the Na Pali Coast, located on the island’s north shore. Koke'e State Park and the Na Pali Coast are great places to hike as there are dozens of trails. Another Kauai attraction that’s definitely worth a visit is the Wailua River, the only navigable river in Hawaii. Take a boat tour up the river to Fern Grotto, a fern-covered lava cave. A definite must-see on Kauai are the beaches on the north shore, which are some of the most scenic in the Islands. Spend a day on Tunnels Beach, Ke'e Beach or Hanalei Bay and enjoy breathtaking views of the turquoise ocean and white-sand beaches framed by swaying coconut palms. Larger than all the other Hawaiian Islands combined, Hawaii Island (aptly named the Big Island) is best known for its active volcanoes. This is the only island in Hawaii where you might see a lava flow. Hawaii Volcanoes National Park is the most visited Hawaii attraction. Within this large national park you can see volcanic craters, lava tubes, sulphur banks and lava fields (and sometimes active lava flows as well). The Big Island of Hawaii also features the most variety of beaches. Here you will find beaches with white, black, red and even green sand, plus many pebble and lava rock beaches. With so many Hawaii attractions and things to do, it is a good idea to plan all the sightseeing you want to do in advance. 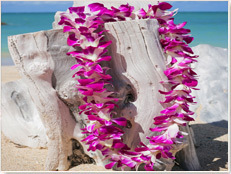 Hawaii Discount is your one-stop shop for all Hawaii activities and Hawaii tours. If you need assistance in choosing a tour or activity, please contact us either via phone or email. We are happy to help.